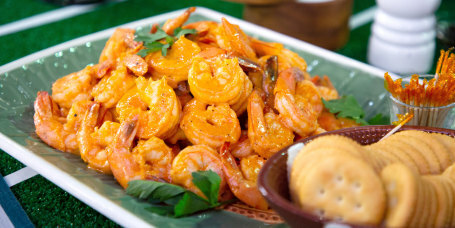 Hot horseradish, Creole mustard and spicy cayenne give shrimp a serious kick in this easy appetizer recipe. 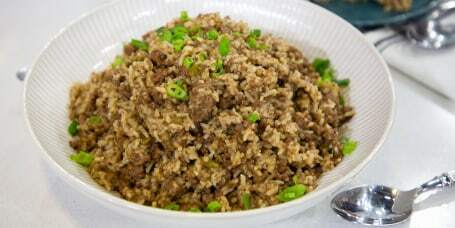 Serve a pot of meaty, rich dirty rice that would make any Southern grandmother proud. 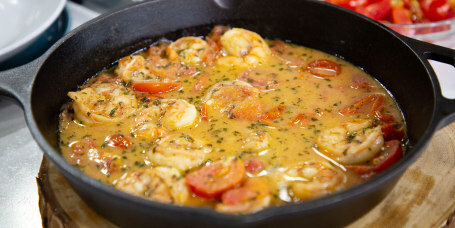 Give shrimp the Cajun treatment by cooking them head-on with spicy pepper and a splash of booze. Crunchy pecans and sweet, sticky caramel come together to make Southern-style praline candies. 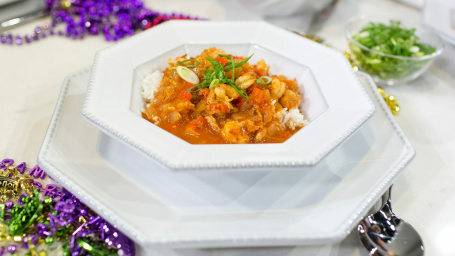 The classic Cajun combo of onions, celery and green bell peppers forms the flavor foundation of this delicious, one-pot crawfish étouffée. 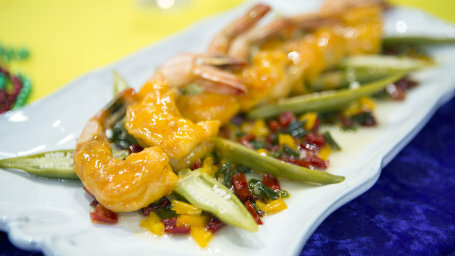 Celebrate Mardi Gras with cheesy, New Orleans-style shrimp and crawfish dip with muffaletta and salami. Warm up on cold nights with spicy one-pot gumbo with chicken, andouille sausage and peppers. Serve a Creole dinner straight from Commander's Palace in New Orleans with pecan crusted fish, fresh crab salad and a creamy corn sauce. 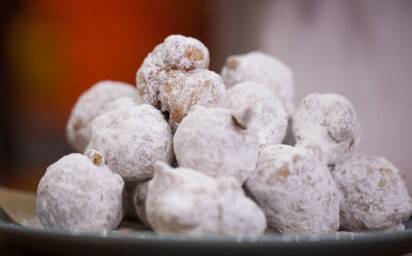 Give doughnuts a Southern twist with these New Orleans-style beignets from Commander's Palace. 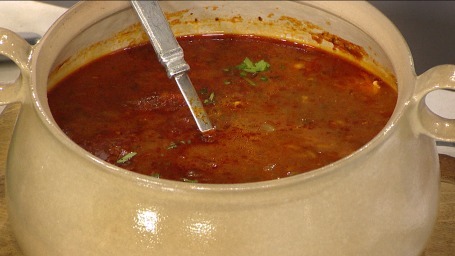 Spicy jelly made from 5 different peppers makes this recipe from Commander's Palace for fried shrimp with tasso ham absolutely irresistible. 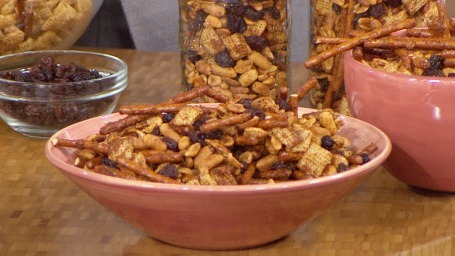 Put a spicy spin on Chex trail mix with Creole seasoning for the perfect midday snack. 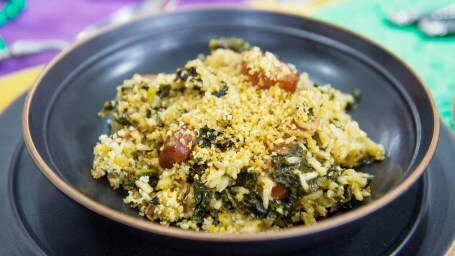 Jambalaya gets a modern makeover with kale, brown rice and bacon in this recipe from chef Alon Shaya. Spicy jambalaya is a one-pot meal that adapts perfectly from stovetop to slow cooker. 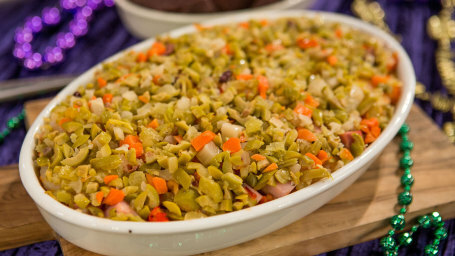 Make this hearty dish for a warming dinner or a party. 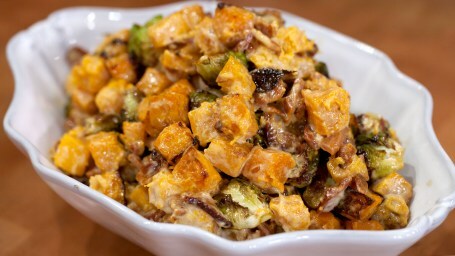 Just add bacon and a few other secret ingredients for some of the most delicious brussels sprouts and butternut squash you'll ever taste. 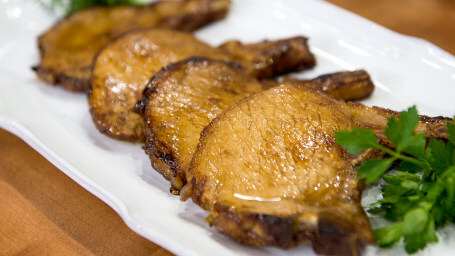 Calling this a "minute" pork chops recipe is only a bit of a stretch. The chops need to cook for just a few minutes and dinner is done. 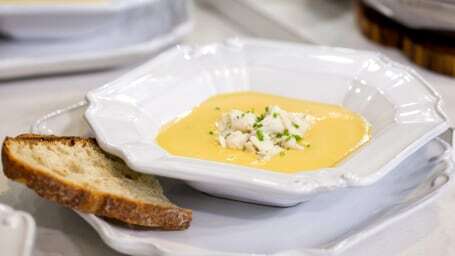 John Besh's already luxurious pumpkin soup recipe gets even more luxe when you add a topping of lump crabmeat, a South Louisiana favorite. 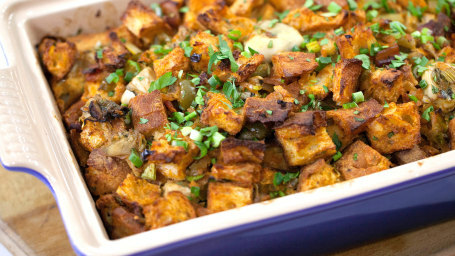 This Thanksgiving dressing (AKA stuffing) recipe from chef John Besh is a true taste of South Louisiana. 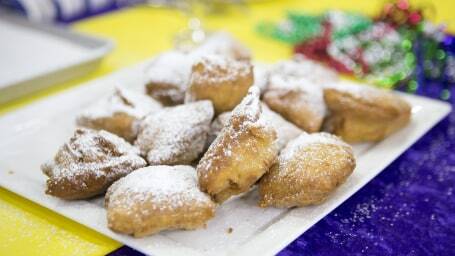 Country legend Kix Brooks shares his recipe for making sweet, delicious beignets at home. 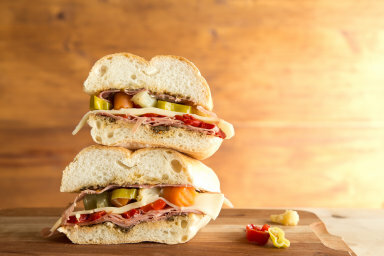 Try this easy twist on the Muffaletta sandwich that's super convenient and delicious. 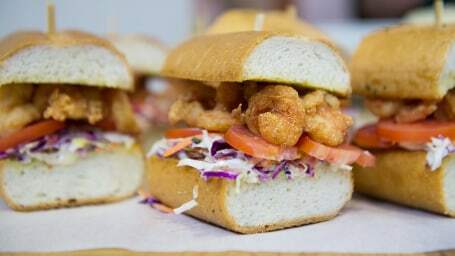 It's the perfect sandwich to make ahead of time! 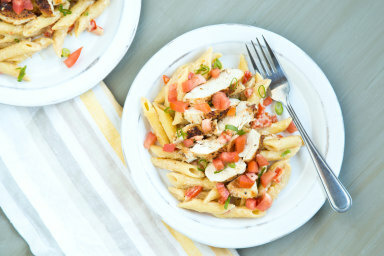 Make Chili's-style Cajun chicken pasta with just 450 calories in 30 minutes! Even picky eaters agree that the combination of spicy chicken and creamy sauce is delicious. But who needs all those calories? 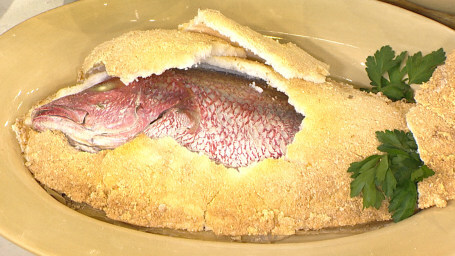 How to make salt-crusted fish--you won't believe how easy it is! 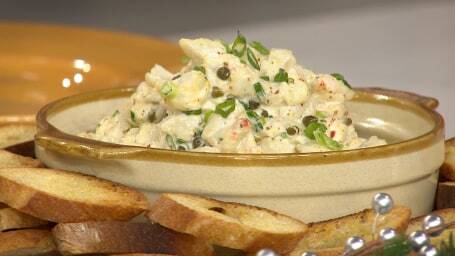 Nick Lama, chef and owner of Avo in New Orleans, shares his easy recipe for Crab Dip. Have lots of leftover turkey? 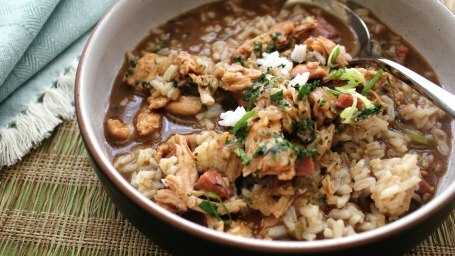 Skip the boring next-day sandwiches and make chef David Slater's hearty turkey gumbo instead. Try this Cajun-spiced roasted turkey and gravy from Curtis Stone for a delicious way to do Thanksgiving. 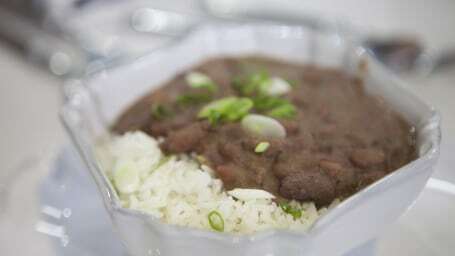 It's a New Orleans tradition to eat red beans and rice on Monday and chef John Besh has perfected a recipe that is comforting and delicious. 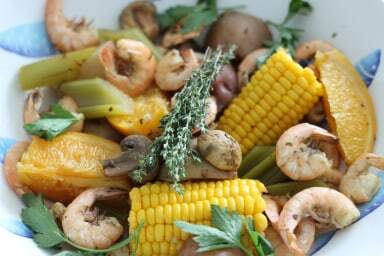 Celebrate summer in style with a delicious shrimp boil. 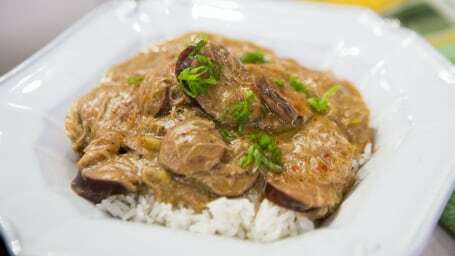 This Creole Sauce from chef and cookbook author Tanya Holland can be made up to a week in advance. Use it to make Creole Shrimp and Grits. 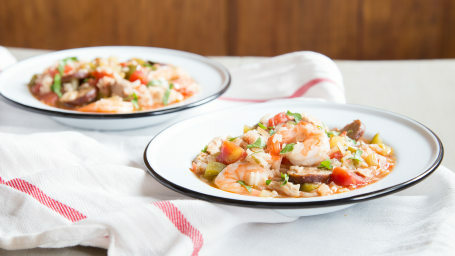 Chef and cookbook author Tanya Holland shared this recipe for cheddar grits -- serve them with Creole Shrimp, like she does! 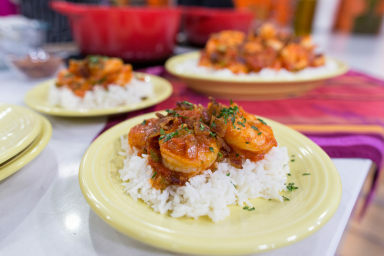 Chef and cookbook author Tanya Holland uses this Creole Spice Mix in her Creole Shrimp and Grits. It keeps for up to six months. 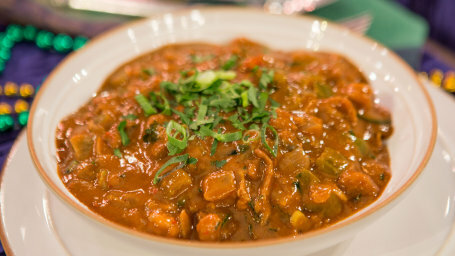 Chef Tanya Holland adds a bit of beer to the Creole sauce in her recipe for Creole Shrimp and Grits. 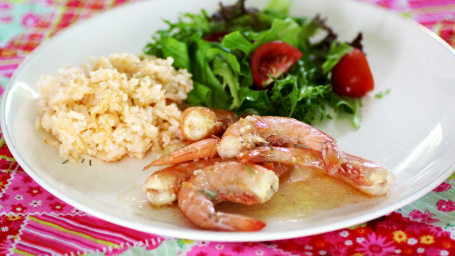 Make Rev Run's delicious shrimp and rice recipe, perfect for the whole family. 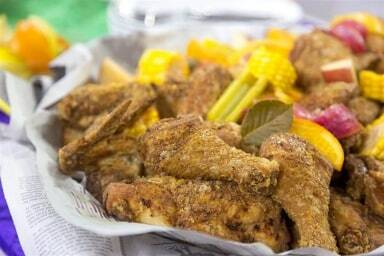 Tory McPhail, executive chef of Commander's Palace, cooks up chicken Nawlin's style. Which sandwich best describes Willie Geist and Kristen Welker’s personalities? Would you try this 2-foot-tall waffle tower loaded with ice cream, candy and cake?